Not everyone will know who Pip is. Pip is known by the Dutch book series and animated series Woezel & Pip (or Woozle & Pip). 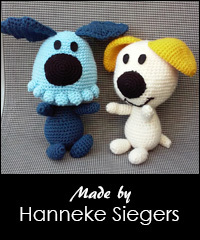 In the Netherlands Pip and her best friend Woezel are very popular among children. I’ve made this plush for a colleague of my boyfriend. She wanted to give her pregnant sister a crocheted gift. 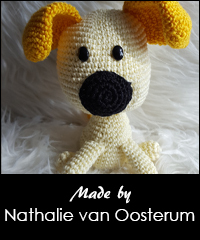 It takes about 7 hours to make this amigurumi. Pip is 13 cm tall and the balloon is 14 cm tall. This is a great pattern to work with. The instructions were clear. I can’t wait to finish it and make a keychain out of it. Hi! To get the pattern you have to add it to cart and go to checkout.